I have waited a bit before posting my reflections on the passing of Wayne Dyer. I confess my first reaction to the outpouring of love for him on social media was that it seemed overblown. After all, I thought, he was hardly a theological genius and he mostly peddled very light weight pop spirituality. I knew that sounded unkind, if not untrue, so I waited and reflected on what Wayne Dyer's gift really was. 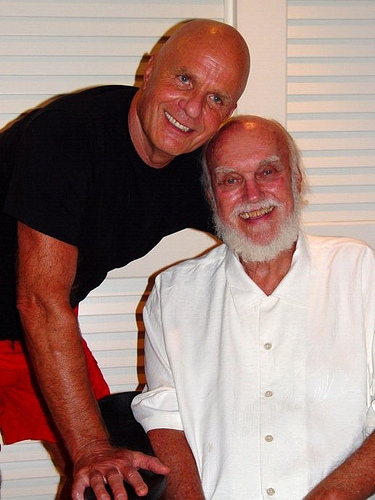 When Ram Dass, who I consider one of my most important teachers, has his stroke and it became clear that he needed help because he had always given his speaking fees to charity and so would have no place to live, Wayne Dyer stepped into action and used his email list to generate millions of dollars to be sure Ram Dass would always have the care he needed. Wayne didn't have to do that, he did it of his own accord. That reflects a generosity, compassion, and depth of spiritual attainment that you don't often see. I admit that when I learned of this only recently, my opinion of Wayne changed a lot and I started to wonder what else there was to learn from his teaching. I went to YouTube and watched some Wayne Dyer videos. I was reminded of the horror that was men's shirts with epaulets. We all had them in the seventies, and Mark Anthony recently tried to revive them in his clothing line (another reason to question his judgment). As I watched the videos two thoughts kept crossing my mind. The first was that these teachings were not profound, but they were popular. Cynical critics would say that they were popular precisely because they were simple and that simple teachings attract people because they don't ask much of them. My second observation was that Wayne Dyer did quite ask a lot of people in that he asked them to take responsibility for their lives. His teachings seemed to cry out, "you are in control, you are responsible, you can change things if you want to do so." My own teaching history with its blend of psychology and spirituality resonated with this message. It might be simple, but it is foundational to creating a healthy life. Of course, feeling the way I do about the Law of Attraction, I believe Wayne Dyer took that idea way too far. I can't help but wonder if there wasn't a shrewdness to his approach that used some pretty fluffy teachings to get in the door and impart his deeper message of personal responsibility. That may be wishful thinking on my part, but it's hard to deny that the deepest thinking of pointy-headed theologians rarely achieves much traction among the public at large. They would tell you that is because they are so much brighter than everybody else. I would argue it is because they are almost completely irrelevant because they are so out of touch with the lives of everyday people. The kind of theology done in the hallowed halls of academia, much like masturbation, is largely for the enjoyment of the people engaging in it and nobody outside of the circle jerk finds it very entertaining or interesting, save for a few voyeurs in the institutional Church. The truth is that we need more Wayne Dyers. We need people who not only talk the talk but also walk the walk. 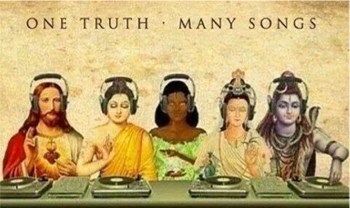 We need people who are willing to find the issues and teachings with which everyday people connect and who can use those teachings to open us to greater truth. We need those people much more than we need people who spend their time calculating how many angels can dance on the head of a pin, because those basic teachings help us avoid the kind of obscene perversions of spirituality we see in America today wherein freedom of religion is confused with compelling others to believe as I do. As we become more and more polarized spiritually, I can't help but wonder from where the next Wayne Dyer will come. Thank you, Mark. I am learning that the truth is most of the teachings that become popular serve a purpose - and that purpose may or may not be my cup of tea, but to dismiss them out of hand as somehow useless is a mistake. If someone finds a teaching helpful and nobody is being hurt in the process, great!